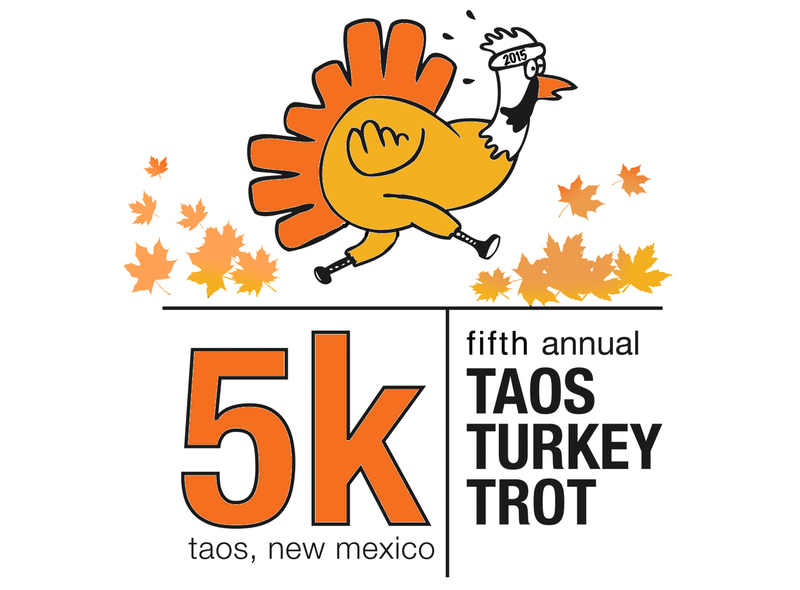 The Fifth Annual Taos Turkey Trot will take place on November 21, 2015 at Taos Eco Park. This year’s event will again feature a timed 5K, a Fun Run/Walk and a KidsK race and an All-Ages Pets and People Costume Contest. We are excited to welcome you to the Fifth Annual Taos Turkey Trot 5K Road Race and Fun Run/Walk and KidsK in Taos, New Mexico on Saturday, November 21, 2015. 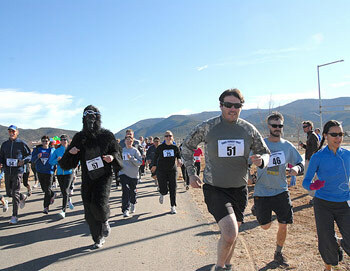 Experienced runners or fun run enthusiasts…everyone is welcome to the Fifth Annual Taos Turkey Trot! For the Kids 1k, participants will be racing two laps around the .3mi asphalt track located within the park boundaries. We have partnered with Twirl Play and Discovery Space to bring a something fun to our families from 8:45am to 10:00 am. The activity is FREE! for all families of runners entered in the 5K. $5 donation will be requested for any non runners. All children in the Twirl Play & Discovery Space crafting or game area must have an adult present with them at all times. Plenty of free parking available around the Eco Park and in the adjacent dirt lot off of St Francis Ln. Registration forms must be submitted before noon on Friday, November 20. 5:00pm to 7:00pm on Friday, November 20 – join us to pick up your race packets, and stay a minute and chat, we’ll have light refreshments and some fun giveaways! • Overall male and female winners of the timed 5k will receive a special award. Gobble. Gobble. • Awards include a Choice Wireless Cell Phone and three months of service, Taos Ski Valley Lift Tickets, Pies from KOKO Coffee, Deli, Carry Out, Chocolate from Chokola, a flight with Pueblo Balloon, a cooking class with Chris Maher of Cooking Studio Taos, Original Tshirts designed by Ennui Gallery‘s Sarah Hart and More!